It was only a few days ago when the #10YearChallenge was the talk of the town. 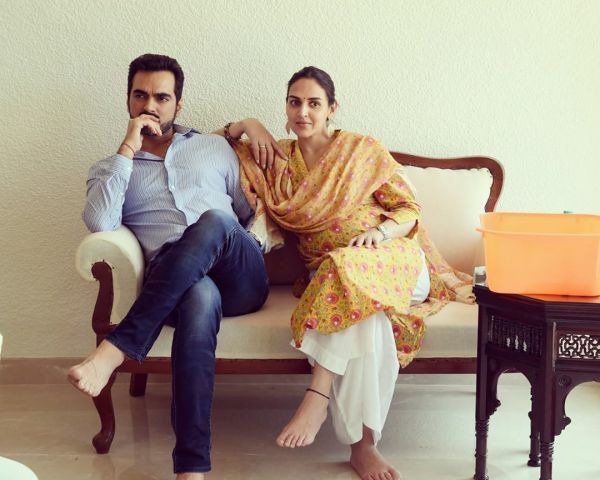 Esha Deol was one of the many Bollywood celebrities who participated in the campaign by posting a collage of her Dhoom days and her baby bump when she was pregnant with her first born. That's right, I said 'first born'. 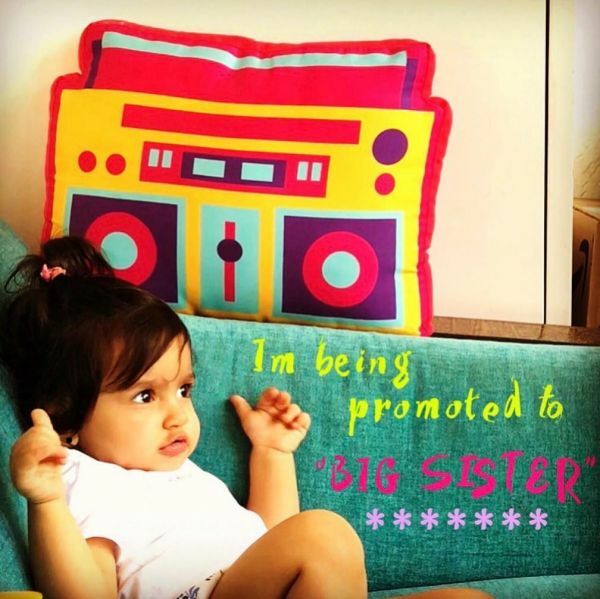 Esha posted a picture of her one-year-old daughter, Radhya, with the text, 'I'm being promoted to "BIG SISTER"'. 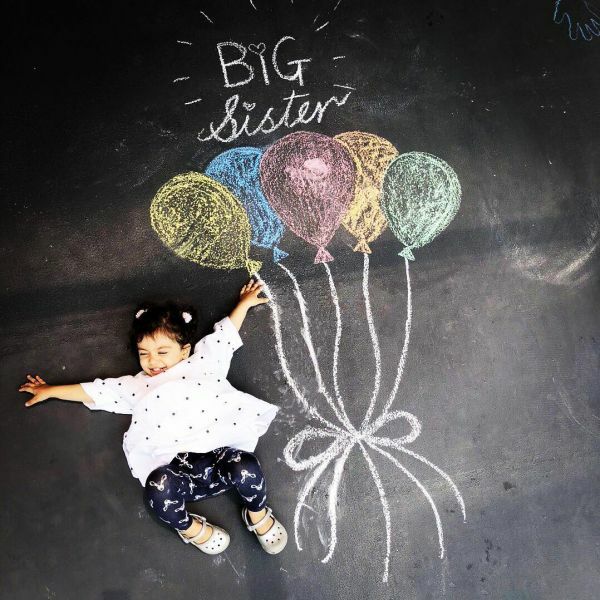 Kind of reminds us of Shahid and Mira Kapoor's baby announcement with little Misha. 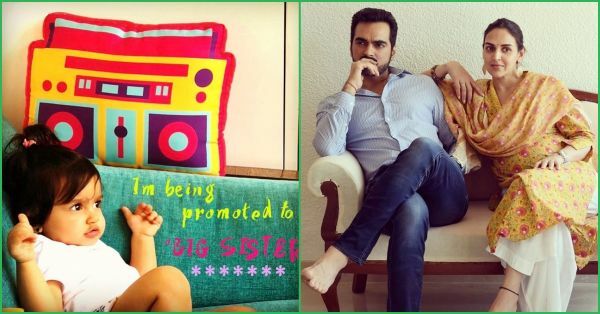 A couple of days ago, Esha posted a picture of herself with her husband, Bharat Takhtani, from her sister Ahana Deol Vohra's housewarming and there were a few comments by people asking if she was pregnant owing to the questionable baby bump. Given that her caption for the picture was, "Hummmmm 😉..... ♥️ ♥️♥️", it was hint enough. 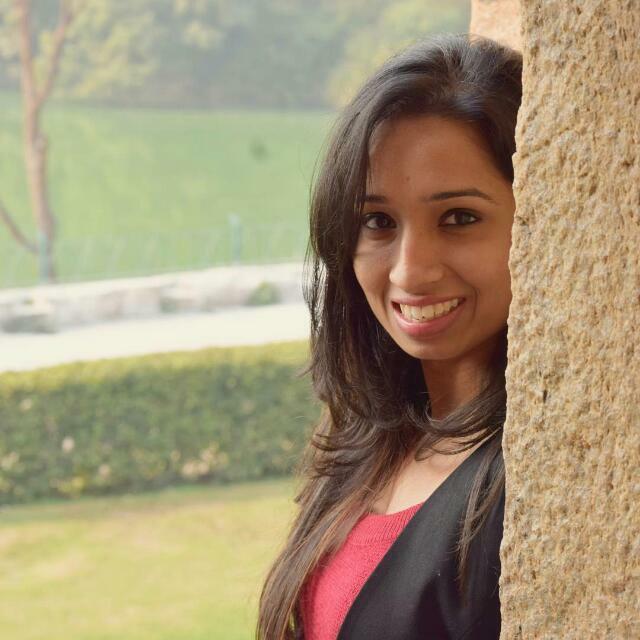 Esha sure put all speculations to rest and so cutely!